Since 1997, the Internet World Expo has been bringing together IT professionals and decision-makers on the provider and user side and has been driving the digitisation of the German corporate world for more than 20 years. Once again this year, the high-calibre speakers and the numerous, informative short presentations demonstrated once again that this trade fair has become one of the most important retail industry events. Tech investor Frank Thelen, known to many from Germany’s Shark Tank/Dragon’s Den adaptation and Thorsten Scheib, Head of Marketing at Philip Morris IQOS, pushed the trend arena to its limits – everyone wanted to hear what they had to say on the subject. A total of 420 companies (including partners from 20 countries) presented current developments and system solutions to around 19,000 visitors. Of course, the most represented exhibitor groups were still shopped software providers, payment service providers and logistics providers, but companies outside the industry such as »Hello Fresh« or »Philip Morris« were also represented at the fair. Speakers in the trend and information arenas also clearly described the fact that digitisation hardly allows exceptions in the meantime. The approximately 19,000 visitors shared their own experiences and explained how companies can leverage trends from platform economics and big data, through artificial intelligence to influencer marketing, to enhance customer relationships in a digital way and emotionally empower customers. The trends shaping digital business in 2019 have been summarised by us for you here! In general, speakers and exhibitors at the Internet World Expo strongly emphasised the subject of “Emotional customer loyalty”. Because the more digital something becomes, the more abstract it becomes for users. So it can only be advertised with something that users know and can identify with: Feelings of life and emotions. The aim of this strategy is to encourage customers to take the lead. They should visualise scenarios and then make decisions that will change their business for the better, depending on their goals. And of course, they should be reminded in these decisions to the company, which has inspired them to think. But the actual product or the actual service is not in the foreground. Customers discreetly refer to a product, a service, to make online life as personal and emotional as possible… Sound familiar? 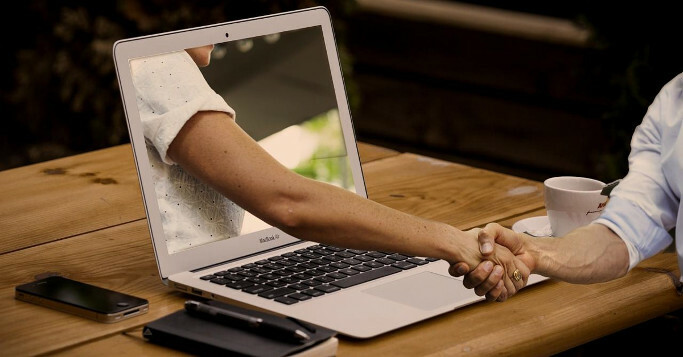 Yes, it is about making the time spent on the Internet an experience, picking up customers with inspiration, tips, and advice and thus stimulating the purchase in the best case scenario. Just as content commerce succeeds. What this is and how to successfully integrate this approach into your own corporate strategy can be found in our white paper: »Content Commerce. 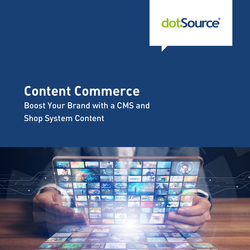 Strengthen Your Brand With a Valuable CMS and Shop System Content.« The guide to the perfect, emotional customer relationship is available here for free download. Content commerce is also one of the many exciting topics that highlighted last week at the Handelskraft Conference at the Klassikstadt of Frankfurt. In his keynote »Content & Commerce – How STABILO Brings Pens to Life«, Frank Hanauer, Head of Digital Solutions & eCommerce Operations at STABILO International GmbH, explained how companies can successfully use user-generated content and influencer marketing to shape customer relationships emotionally in the digital era and thereby not only creating added value for their customers, but also for their own business. Even more about the project that STABILO has implemented in cooperation with dotSource can be found here.